Downtown Grocery is excited to announce that it will open a new, temporary Market & Food Bar in the food court at the Wausau Center Mall in January 2016, exact date TBA. The temporary location will remain open until the original Downtown Grocery location, 607 Third St, re-opens from the September fire. Downtown Grocery is also excited to announce an art project to make this temporary move with style. To add even more excitement to the new Market & Food Bar, Downtown Grocery will support three community groups to create a “pop-up for an impact” project. 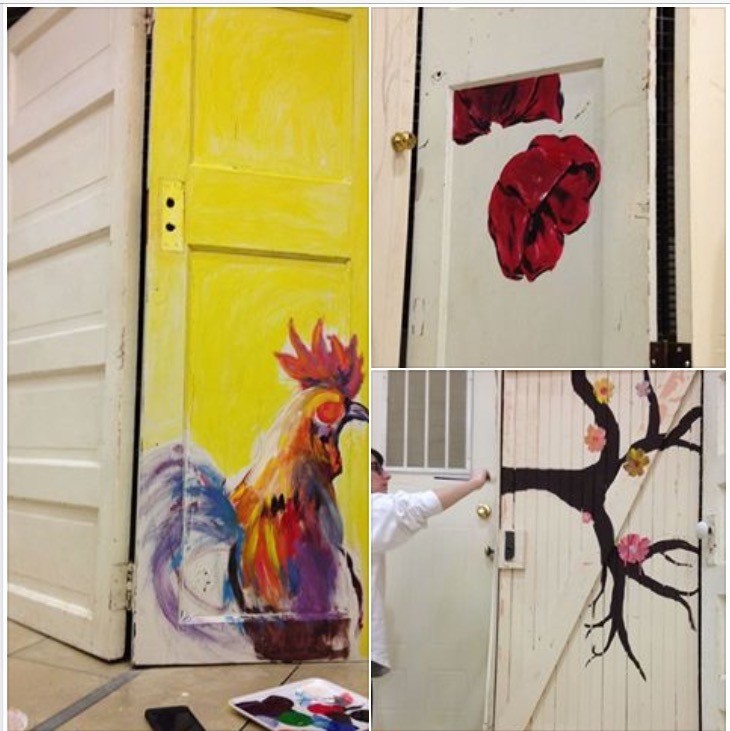 Students from Wausau East High School will paint pop-up art (an installation made quickly for short-term display) on re-purposed doors purchased from the Habitat for Humanity Recycled Building Materials (RBM) Facility to serve as a “construction fence”. 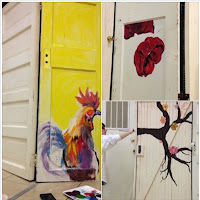 At the end of the construction period the colorful doors will be donated to The Neighbor’s Place for a new fund-raiser. The attached images show the location for the pop-up art, images from past art installations created by Downtown Grocery, and images of the “fences” installed but unpainted. The “construction fence” mural is composed of about a dozen re-purposed doors that Downtown Grocery purchased from the Habitat for Humanity RBM Facility. 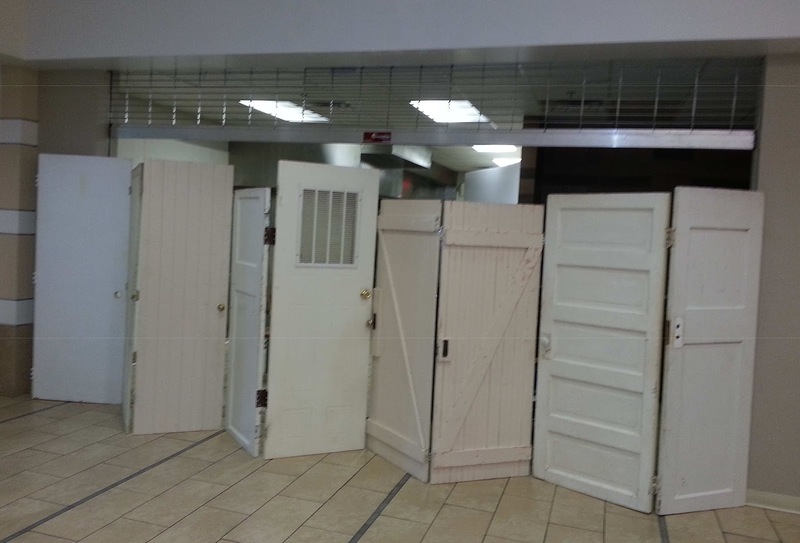 The unconventional use of doors for a “construction fence” continues the tradition between art and Downtown Grocery. For example, giant-colorful fruits & vegetables were painted on the storefront windows in 2006 prior to opening the original store and in 2012 prior to opening the store expansion.